Swim Strong teaches the proper techniques to prepare the student to be a strong, safe and competent swimmer. We want them to enjoy the sport for a lifetime. Some may want to become competitive swimmers – that’s great! We’d love to help them reach those goals…but students will progress at their own individual pace. We encourage them to learn all of the competitive strokes (freestyle, backstroke, breaststroke and butterfly) so they can successfully try out for more competitive programs. We work with those who are in the very beginning level as well as those who are already competing but need stroke enhancement work to improve their performance. Swim Strong never uses floatation devices to teach swim skills. We believe that swimmers must learn to swim without external supports so they will rely on their own abilities and strength. Our goal is to make swimming at all levels affordable. We will charge for only three members of the immediate family (parents and dependent children) the other family members learn at no cost! If taking classes with different costs, we will charge for the 3 most expensive classes. If you are registering more than 3 family members, pls choose pay by check method and we will confirm the cost of the classes in a return email to you. Some of you may want to take multiple classes per week, instead of the typical one class we schedule. Let us know that in the notes section of the order form and we will see if there is availability to offer that option to you. At the competitive levels we can offer a discount for a 2nd/3rd class per week. We can not offer a discount at the Get Ready/Get Wet or Learn to Swim levels due to the more personalized nature of those classes. All classes are offered to children and adults. The class introduces new swimmers to the water. 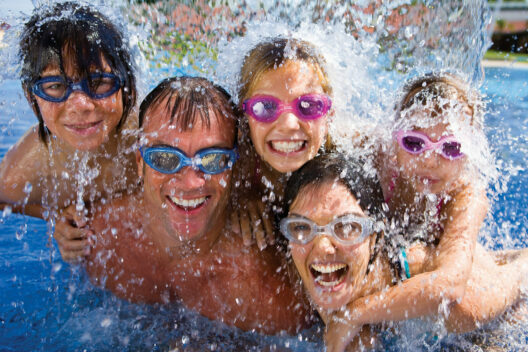 Children as young as 3 years old can participate if an adult family member joins them in the water. For individuals who haven’t had swim lessons but are comfortable in the water. Swimmers must be a mature 6 years of age or older, able to stand in 4’5” of water, and capable of taking direction from an instructor independent from their parents. For swimmers who have good freestyle and backstroke but want to learn breaststroke, butterfly, starts and turns. Ages: 8 and older. For swimmers who are already on a swim team but need to refine their technique. 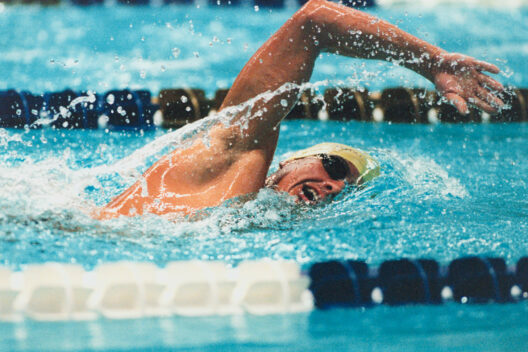 The class is appropriate for triathletes, competitive swimmers, and water sport clinic participants. Ages: 8 and older. Adaptive Program: Drowning is the leading cause of death for children with autism. But it doesn’t have to be. 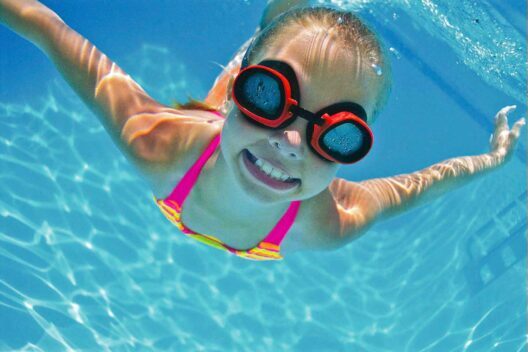 Swim Strong provides water safety education and teaches the swimming skills that will help your child be safe, effective and confident in the water. Safety is our first priority. Our instructors are trained to work with each child individually in order to meet them where they are. They understand that every child is unique and are patient and able to provide different examples to help the students learn. Reach out through the contact us tab to discuss your child’s specific need. Refund Policy: Refunds are not provided unless the student suffers a severe medical condition documented by physician. Make-Ups: Make-ups are not provided to Get Ready/Get Wet, Adaptive and 1st level Learn to Swim students due to the personalized nature of those classes. Students in more advanced classes may rake a make up at another location/time where they can be accommodated. Check with your head coach. Make-ups must be taken within the current session. Date & Time: Sunday 11:00 am – 1:00 p.m. Date & Time: Sunday 11:00 am -1:00p.m.